Juli specializes in working with buyers looking for unique recreational properties, and has significant experience with transactions involving ranch properties, large vacant land tracts and development parcels. Within the real estate community, she is well-known for “walking the corners” of every piece of land she believes may be of interest to one of her clients. Dedication to excellence and integrity in all of her real estate transactions are of utmost importance to her. She holds her GRI designation which is obtained after fulfilling 90 hours of advanced Real Estate education. With an extensive knowledge of the area, Juli Morelock lives the “Pagosa Lifestyle”. 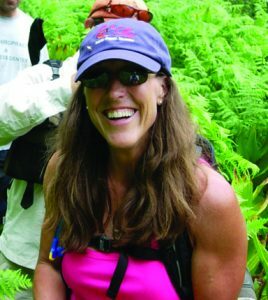 She is an avid outdoor enthusiast and enjoys Alpine, Cross Country & Skate Skiing, Snowshoeing, Hiking, Mountain Biking, Paddle Boarding, Horseback Riding, Trail running, Fly Fishing and Gardening.